Emma must ride alone through a rainstorm to reach the MacClennan keep and fetch the mighty warrior Rogan MacClennan, Heather's intended. Nothing must delay her. Her sister's life depends on it. Emma is not only shocked by the warrior's handsome features, but by his refusal to leave immediately once he learns that Heather has been abducted. His excuse is the raging storm, but Emma will not bow to the mighty warrior's dictates. 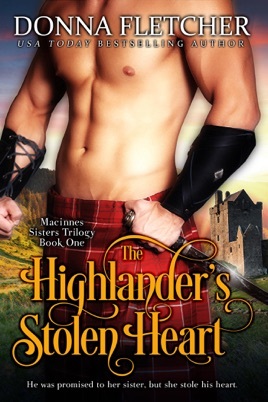 She sneaks off to return to the injured Macinnes warriors and to search for Heather.